Jed has homework to do! 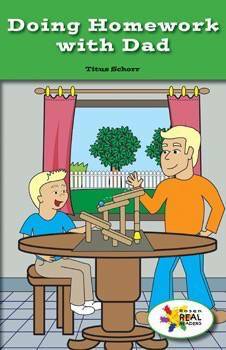 In this fictional narrative, colorful illustrations and key vocabulary will allow readers to follow along as Jed does his homework assignment with his dad. This fiction title is paired with the nonfiction title Andre’s Father Goes to School.